T. Adams ("Tommy") Upchurch was born in Lexington, Mississippi, on the night of Lyndon Johnson's presidential election in 1964. Moving to the neighboring town of Durant as a child, he grew up a Southern Baptist and gave his life to Christ at age 10. Tommy attended a black majority public school in a time and place filled with racial tension. After working in various occupations and living in sundry locations, he matriculated at Holmes Community College in Goodman, Mississippi, then earned undergraduate and graduate degrees in the field of Education at Delta State University in Cleveland, Mississippi. In 2001, he earned his Ph.D. in History at Mississippi State University. 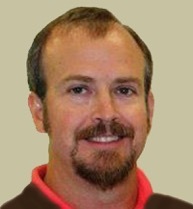 Dr. Upchurch teaches History at East Georgia State College in Statesboro, Georgia, where he is now a tenured full-professor. Over the years, he has authored many scholarly books, journal articles, and encyclopedia entries. Among his most notable publications are Christian Nation? The United States in Popular Perception and Historical Reality (Praeger, 2010) and Legislating Racism: The Billion Dollar Congress and the Birth of Jim Crow (University Press of Kentucky, 2004). Married to Dr. Linda Liles Upchurch, he has three children and, so far, two grandchildren. He and his wife are members of Compassion Christian Church in Statesboro, Georgia. With the perspective of a historian rather than a theologian the author, a tenured Professor of History in the University System of Georgia, brings his critical thinking skills to a general audience. 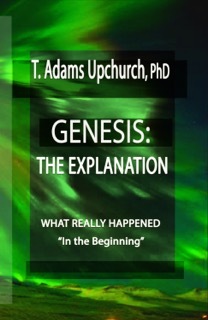 Dr. Upchurch identifies the four corners of a puzzle: (1) the Genesis creation story, (2) the secular theory of biological evolution, (3) the ancient pagan mythology, and (4) the modern theories about extraterrestrial intelligence. Starting with the four corners, he creates a word picture by combining biblical, scientific, historical and parapsychological knowledge. Although difficult for one person to get each and every detail exactly the perfect color and shape that would please each critical eye, Dr. Upchurch brings fresh colors and shapes to the discussion of the mystery of existence.